"Humans seek design and agency in everything. When we see random patterns, we interpret them in anthropomorphic terms. 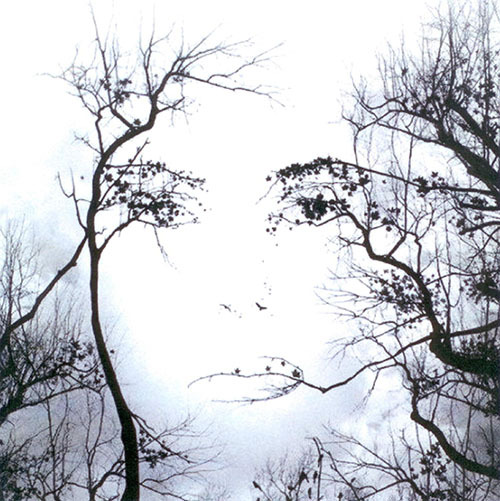 We see faces in rock formations, in the branches of trees and in clouds. Whenever we encounter something we do not understand our first reaction is to personalise it, to make it like us so that we can conceptualise it. We see causality in random events and constantly ascribe a sense of agency to the world around us. This is the root of the earliest belief system we know of, animism, which holds that everything – and depending on the culture this may include completely inanimate objects like rocks and mountains – contains a spirit force that is a form of will that can be helpful or malign, benevolent or dangerous, depending on how we behave towards it." ~ Quote from Why Men Made God, Page 2. This beautiful image was sent to us by a reader without attribution. If you are the creator of this image, please contact us so we can give credit appropriately. Patternicity: Finding Meaningful Patterns in Meaningless Noise Why the brain believes something is real when it is not. by Michael Shermer, November 2008, Scientific American. 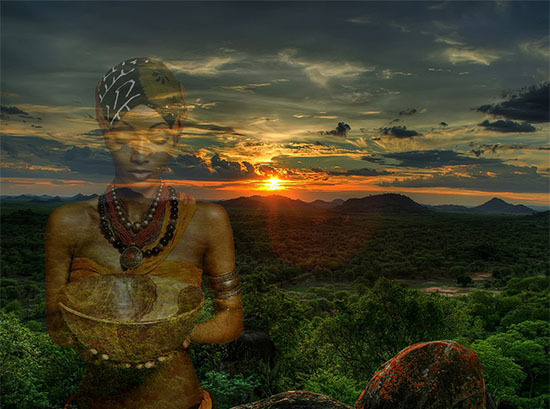 Reader Pat Haney was inspired to create her impression of "The First Goddess" on an African vista background. Thank you Pat! Image copyright © Pat Haney. Used here with permission.